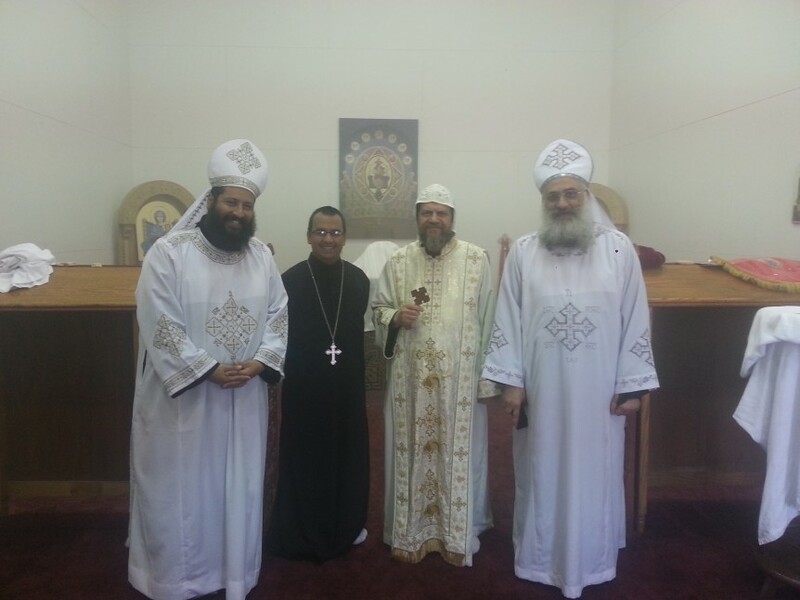 On Monday, March 14, 2016, as His Eminence Metropolitan Serapion celebrated the Divine Liturgy at the St. Paul Brotherhood and elevated the Very Reverend Father Isaac Boulos and the Very Reverend Father Dr. John Paul Abdelsayed to the priestly dignity of Hegumen, he also elevated Deacon Macarius Paul to the rank of Archdeacon. In the Coptic Orthodox Church, the archdeacon is the head of the deacons in any given parish and a close assistant to the hierarch. For example, in any ordination of a patriarch, bishop, presbyter, etc., the archdeacon has an intriguing ceremonial role alongside the ordaining hierarch to command the people to pray for the candidate or to bestow instructions upon the candidate for his ministry. Archdeacon Macarius Paul (Isaac) is a member of the St. Paul Brotherhood living a celibate life while serving in the world. May God accept his service on behalf of us and grant him the grace of the Holy Spirit.